The polls were split overall – I ran three of them, here on the blog, one on FB and one on Goodreads. There was no real consensus. So, I have decided to go with two books. This gets out the next installment that much earlier, and I believe will make the books better as I can concentrate on one finished product at a time. Cyborg Stike will come in at a very reasonable $2.99. 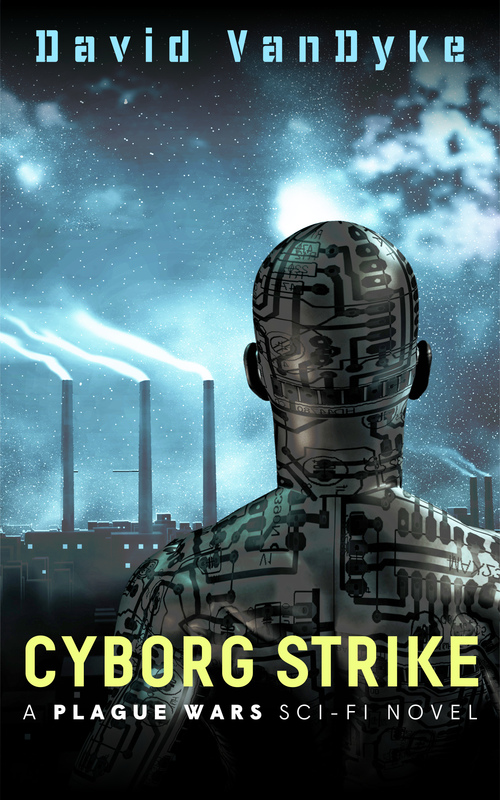 So here’s the cover for Cyborg Strike, many thanks to my wife Beth for coming up with the title. The narrative revolves around the rogue Septagon Shadow cyborg program and how the world deals with it. Jill Repeth and Spooky Nguyen get the most story time by far, with a lot of help from the supporting cast and some nasty cyborg opposition. Shadows and nanocrack and assassinations, oh my! At the end of it, the story will be set for a full-bore launch into space; Comes the Destroyer will close the series and encompass EarthFleet’s effort to defend the solar system.